When creating an applet on IFTTT involving a Prota storyline, it is possible that IFTTT doesn't seem to be able to retrieve the storylines and instead keeps on loading endlessly. 1. This error may occur because IFTTT app is running under a previous version. 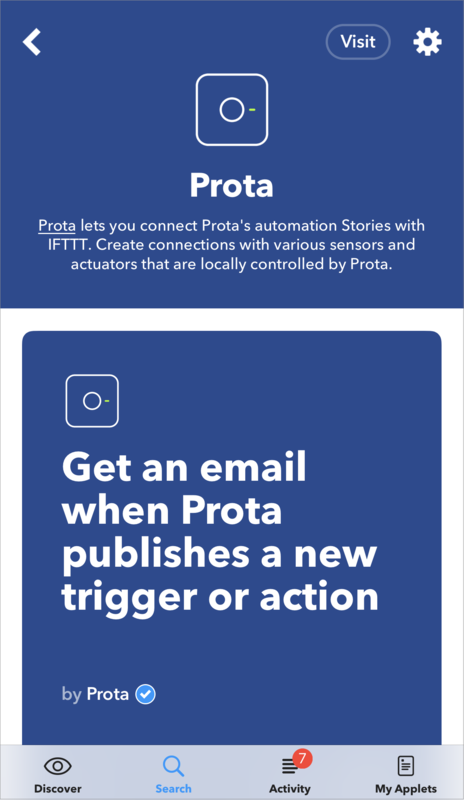 Please make sure that Prota's IFTTT app is updated to its latest version. 2. 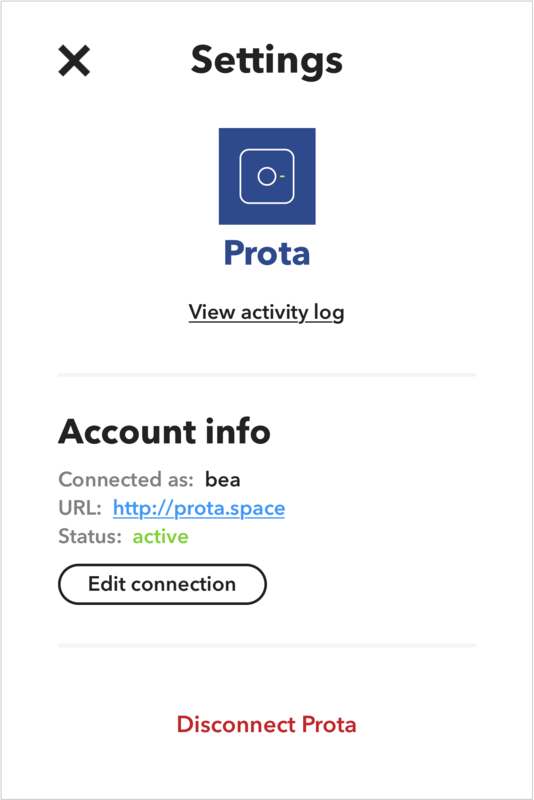 Your Prota must be connected to your IFTTT account. - After installing IFTTT app on Prota Space, enter the app and click on 'Prota'. You will be redirected to IFTTT and your account will be connected to Prota channel. - To check whether it is connected, on IFTTT, go to 'Prota' channel and click on 'Settings'. Then, confirm that the Prota connected to your account is the one you are currently trying to use to create the applet and check whether its status is 'active'. Please note that you can integrate only one IFTTT account into one Prota. If you use several Prota devices, please create an IFTTT account for each. 3. 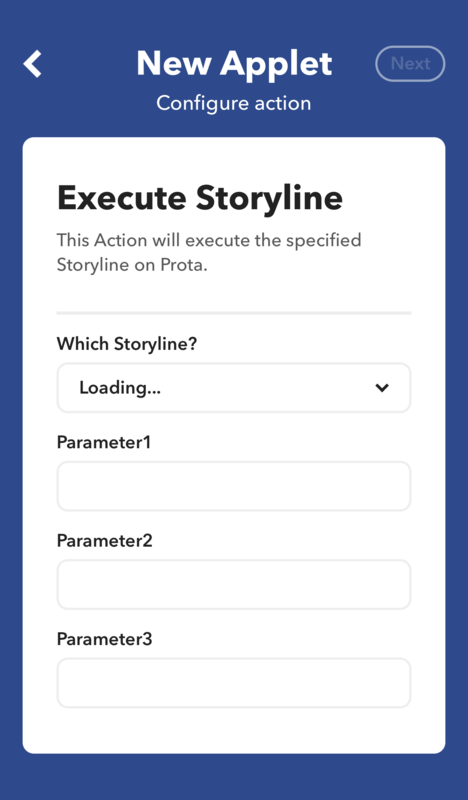 Before creating your applet on IFTTT, you must have created and saved the Prota storyline. This storyline must contain IFTTT app either as a sensor or as an actor depending on the application you wish to implement. 4. There may a problem of connection between IFTTT and Prota. 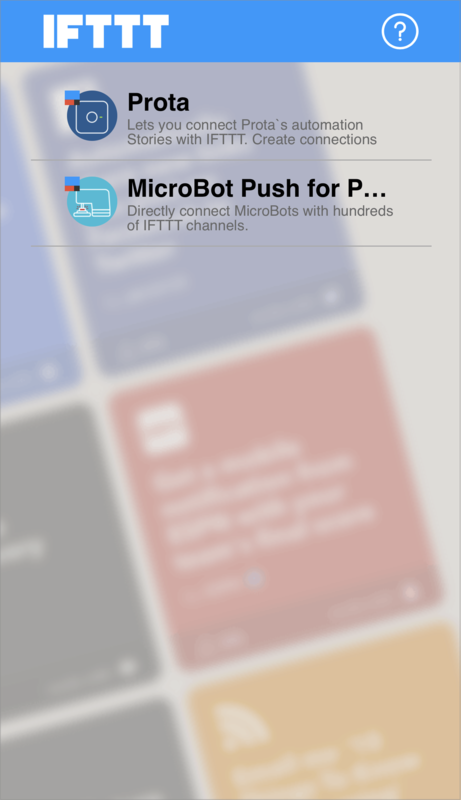 Please turn off then on IFTTT app in Prota Space to allow it to refresh. If, after checking those points, your issue is still not solved, please contact our Support Team.